Way back on the 3rd of February 1488 Bartolomeu Dias a Portuguese seafarer looking for the sea route to India sailed into the bay now known as Mossel Bay. He arrived in the bay after being lost at sea for weeks after being driven off course in a storm off the west coast of South Africa. He and his crew were mightily relieved to find land because when the storm struck they were sailing southwards down the Atlantic coastline of Southern Africa. Their ship was blown off course and when the storm subsided Dias had no idea where he was. As land had been to his east on his voyage from Europe he decided to sail eastwards to try and find land again. 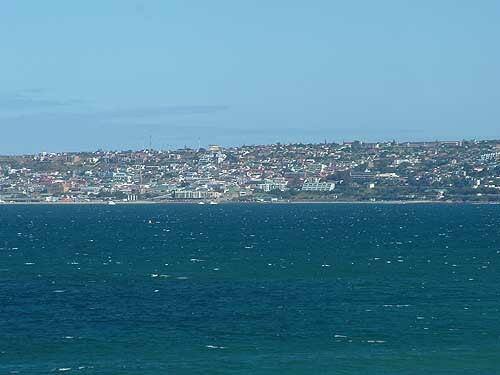 After a number of days of sailing and not having found land he decided to sail northwards and eventually found the southern coastline where he sailed into what is today known as Mossel Bay. After going ashore and finding water Dias wanted to continue his journey to the east but his crew would have nothing of it and he was forced to return home. Before leaving for home Dias placed some letters under a tree close to where the modern day harbour is today. This old Milkwood tree is still alive today and became known by mariners as the post office tree. Dias was the first European ship captain to set foot on this coastline. In 1987 a replica of his caravelle, a gift from Portugal to South Africa, arrived in Mossel Bay in time to celebrate the 500th anniversary of Dias' arrival in Mossel Bay. The caravelle is housed in the Dias museum complex close to where Dias landed way back in 1488 and where he left his mail under the old Milkwood Post Office tree which is still alive today. When Dias arrived in Mossel Bay it was inhabited by Khoi San hunter gatherer and herder tribes and it was with them that Vasco da Gama bartered for food when he arrived in Mossel Bay more or less a decade later. 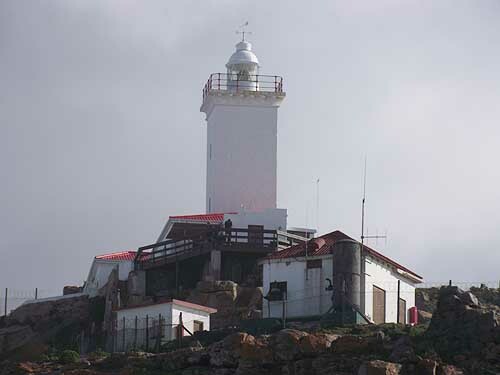 Since its early beginnings as a safe haven for ships and a place to post mail Mossel Bay has grown out all proportions. Today the town is bursting out of its seams. The once small country town which started as a place for seafarers to stop off on their journey to the east has now become a spreading metropolis. 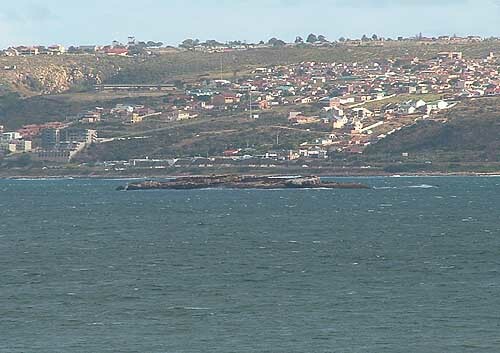 The main reason for the growth was the discovery of oil off the Mossel Bay coastline. Today the town boasts a large oil refinery (Petro SA )where oil from the off shore oilfields is processed. The suburbs of Mossel bay have spread out to the east of the town and Hartenbos which was once a holiday destination for Afrikaners has become a bustling industrial area with a large shopping mall, factories and and industrial area which looks after the needs of the oil refinery and the people required to staff it. 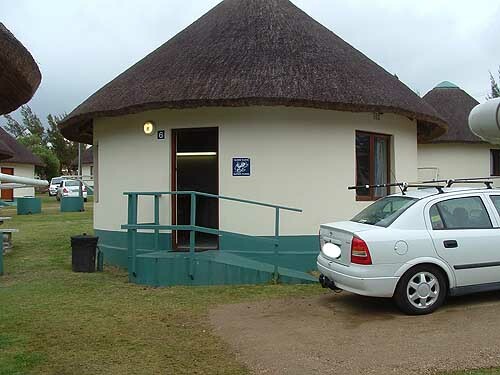 One of many rondavels/chalets built by the ATKV for their members to holiday in. The small holiday village of Hartenbos has also grown out of its seams with hundreds of holiday flats and houses having been built in the area. 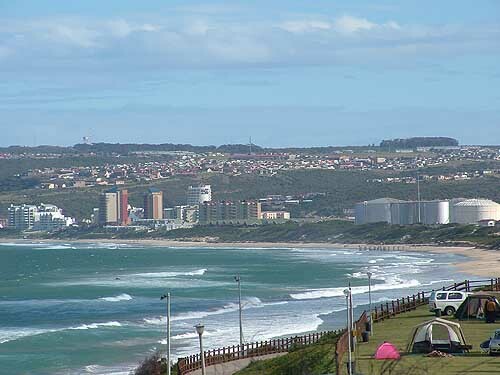 Along the Hartenbos beach front the ATKV has built hundreds of holiday chalets and also provide hundreds of serviced caravan sites for its members and the public. 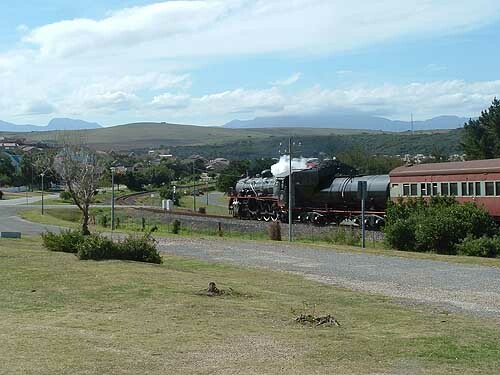 Nearby is a large railway yard where South Africa's old steam trains are kept and refurbished. During the December school holidays and around the Easter holidays the Hartenbos population trebles for a few weeks when all the holidaymakers arrive in town. 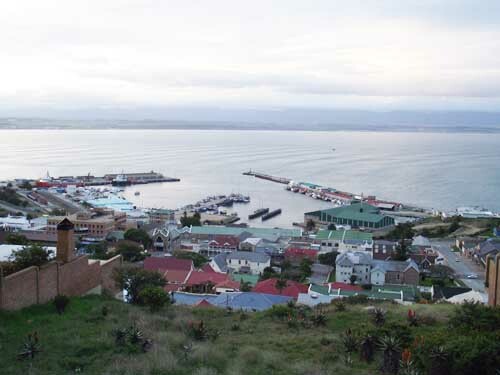 Not only has Mossel Bay spread eastwards but also northwards where a large township has developed above the town. It's surprising that with all the development going on Mossel Bay has still kept its charm as a seaside resort and holiday destination. So what is there to see and do in Mossel Bay. Approaching Mossel Bay from the west there are a number of rivers, the biggest being the Gouritz River which has gouged a huge valley out of the landscape. It's over this river that the fantastic Gouritz river bridge has been built and its from this bridge that the daredevils who do bungee jumping do their thing. Along this stretch of road there are a number of game farms where most of the big five game can be seen. One or two of the game farms have safari lodges for their guests and are very exclusive.Visitors from abroad come from all parts of the world to stay in them. Closer to the town is the Petro SA oil refinery and a casino for those who like to play games of chance. The beach front near the Point is very rocky and good for angling and surfing whereas the coastline from the harbour eastwards has beautiful golden sands and is safe for swimming and angling. The rivers and their estuaries are also full of fish. 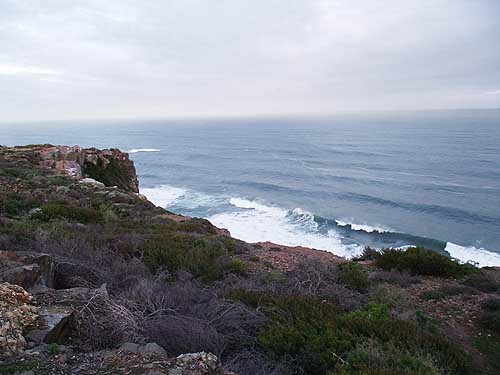 On the cliffs above the Point is the Cape St Blaize lighthouse which has 360 degree views over the bay and the surrounding area of Mossel Bay. 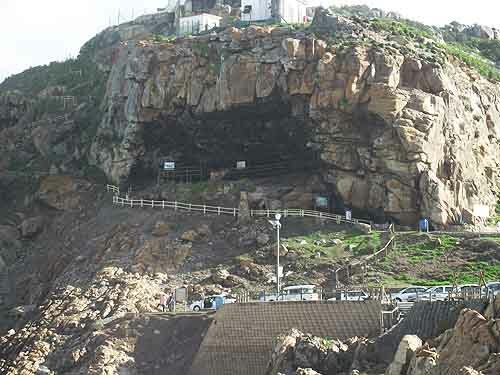 Just below the lighthouse in the cliff face is a large cave which was inhabited by the Khoisan in the times of Dias. 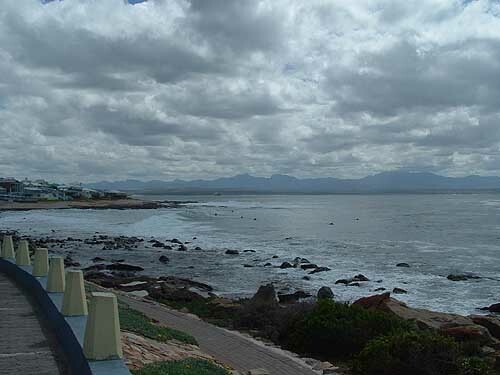 From the point heading westwards is a walking trail which runs all along the cliff until it reaches Dana Bay another large suburb of Mossel Bay. Its pretty long and not for the faint hearted, especially those who are scared of heights. 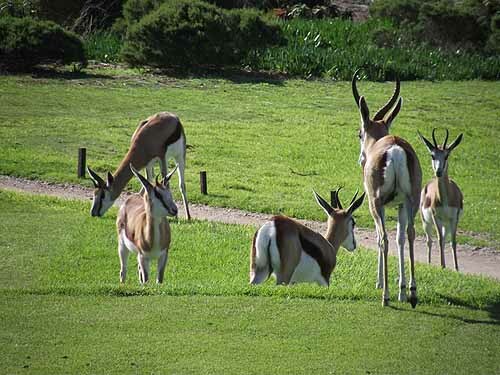 There are also two golf courses in Mossel Bay. 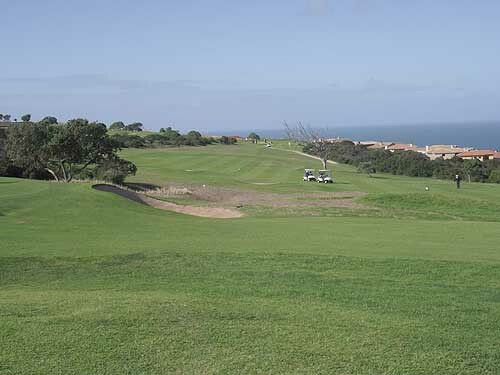 One is the Mossel Bay course built on the hillside above the town and which has a beautiful golf estate established on it around the golf course. This course is very hilly and is the only course I have ever had a round of golf on. The second course is the one at Pinnacle Point where one has to drive a golf ball over the sea to get to the green on the other side of a ravine. There are a number of holes where if you hook your shot your ball lands in the sea . Not only do you have to contend with the rocky hillside the course is built on but also with very strong winds when conditions are unfavourable. This is a very exciting and beautiful course to play on. Mossel Bay has a small harbour for tugs, coasters and smaller vessels which service the oil rig 50 kilometres offshore. 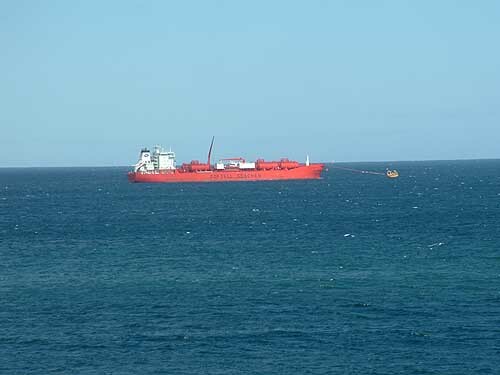 Oil from the offshore oil rig is brought into Mossel Bay in tankers and transferred to the refinery via a pipeline that is hooked up to from a buoy in the bay. The bay itself is home to a colony of Cape Fur Seals who live on seal island about 800 metres from the Hartenbos coastline. 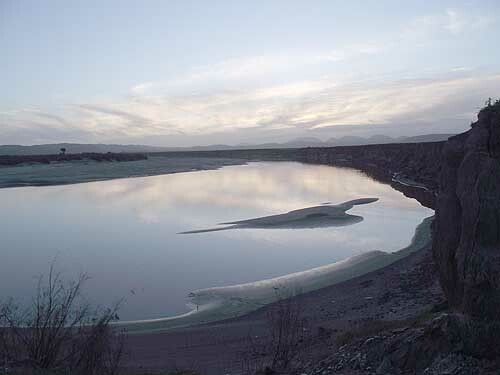 The bay is often visited by pods of dolphins and is full of fish. During the summer season the beaches and restaurants are the main attractions, but when the weather is bad one can drive over the Outeniqua mountains to the north and visit Oudtshoorn the ostrich capital of South Africa and experience a whole new climate and way of life in the semi desert regions of the Karoo. The change of scenery and climate between Mossel Bay and Oudtshoorn which are just about an hours drive apart has to be seen to be believed. Mossel Bay is green, whereas Oudtshoorn is hot, brown and arid. 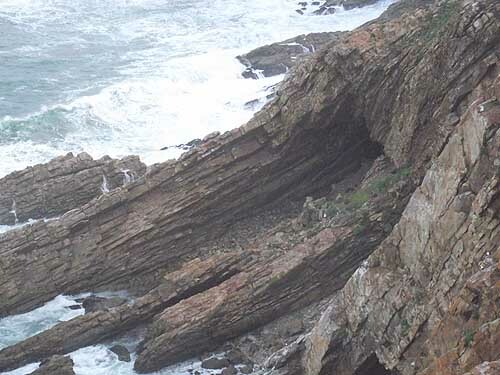 Places such as George, Knysna and the Wilderness are all within an hour or so of Mossel Bay are all worth visiting in this very scenic part of the Garden Route.